Are you interested in a fun, interesting, and motivating Author Talk or Book Reading for your Book Club? 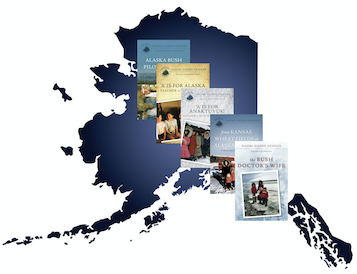 Or perhaps an "Alaska Night" presentation for your organization or group? 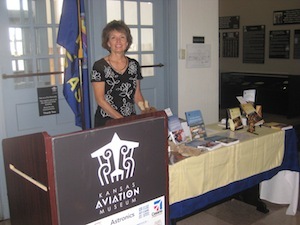 I have a variety of multi-media presentations that are lively, informative, and inspiring. 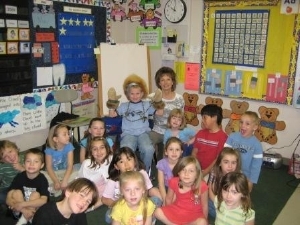 I'd love to come visit your group. May 11-12, 2019: Fairbanks, Alaska. I'm looking forward to seeing my sister, who works for Tanana Chiefs. We will probably walk at Creamer's Field, as well as to historical sites in the old part of Fairbanks. I wouldn't miss visiting the Morris Thompson Cultural & Visitor Center, both for pleasure and to see if they are still carrying/showing "The Alaska Story of Anna Bortel" — the schoolteacher in the books I've written. I regret that Gulliver's Books is closed. It was a fine and original Alaska book and coffee shop. Wherever you find me, I'll have books available. May 13, 2019: Pioneers of Alaska Elks Lodge, Kenai, Alaska. 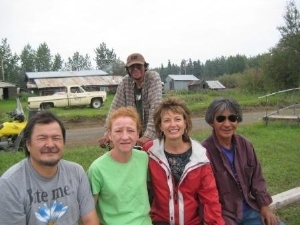 6:00 pm potluck, 6:30 pm presentation of "Alaska Bush Pilot Doctor." 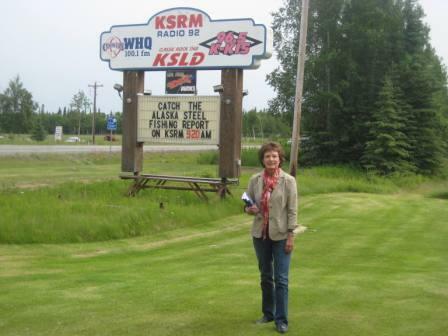 In 1961, Naomi Gaede Penner's father, Dr. Elmer Gaede, joined Dr. Paul Isaak in Soldotna, Alaska. The two doctors encountered numerous humorous and harrowing medical experiences on the Kenai Peninsula. 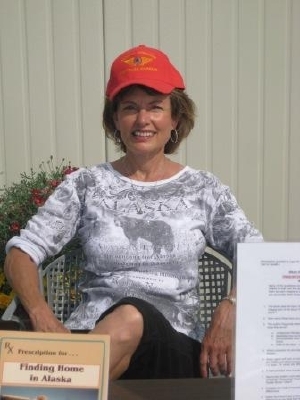 Come hear Naomi tell stories and read excerpts from her book, "Alaska Bush Pilot Doctor." Following the short presentation, attendees will be invited to join in with questions and discussion. May 14, 2019: Kenai Senior Center, Kenai, Alaska at 10:30 am. 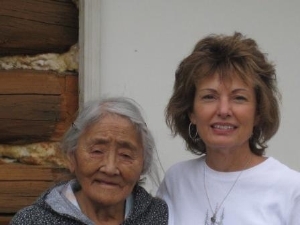 "When Things got Tough, she got Tougher: School Teacher in Tanana, 1957—1960." Presentation with book excerpts from "'A' is for Alaska: Teacher to the Territory," followed by a DVD of "Frontier Teacher." If you can't make at at 10:30 am, I'll be staying for lunch and conversations. April 7, 2018: Books and book signing at the Gaede Pie Booth during the Mennonite Relief Sale & Auction on the Fresno Pacific University campus in Fresno, California. August 16, 2018: Books, book signing, and "Frontier Doctor's" DVD available after the Old-Timers Lunch honoring Dr. Elmer Gaede and Paul Isaak, at the Kenai Senior Center in Kenai, Alaska. Call the Senior Center at 907-283-4156 for reservations to the lunch. November 8, 2016 from 6:30 - 7:30 pm: Author Talk on 'A' is for Alaska: Teacher to the Territory and 'A' is for Anaktuvuk: Teacher to the Nunamiuts at the Parker Library, Parker, Colorado. 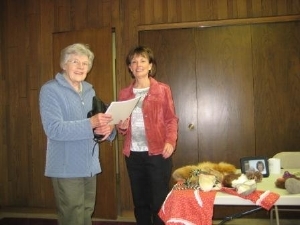 April 5, 2016 from 2:30 - 4:30 pm: Slides and book readings of Alaska Bush Pilot Doctor and Homesteader for Fresno Pacific University Council of Senior Professionals, at Fresno Pacific University in Fresno, California. Workshop "Simply — Writing Down Personal Stories"